The pigs have been flying lately at Denver’s River Run Park. A couple different sites have had the Boardworks Flying Pig on sale, and at $300 or so this board is a steal for steep, high-performance waves like Benihana’s. The Flying Pig is a groveler-style ocean board, with a lot of width for its length, made for getting the most out of small summer ocean surf. Fortunately, all of those same design characteristics make it great for river surfing. The upturned nose really helps the board stay in the pocket of a tight wave without pearling. 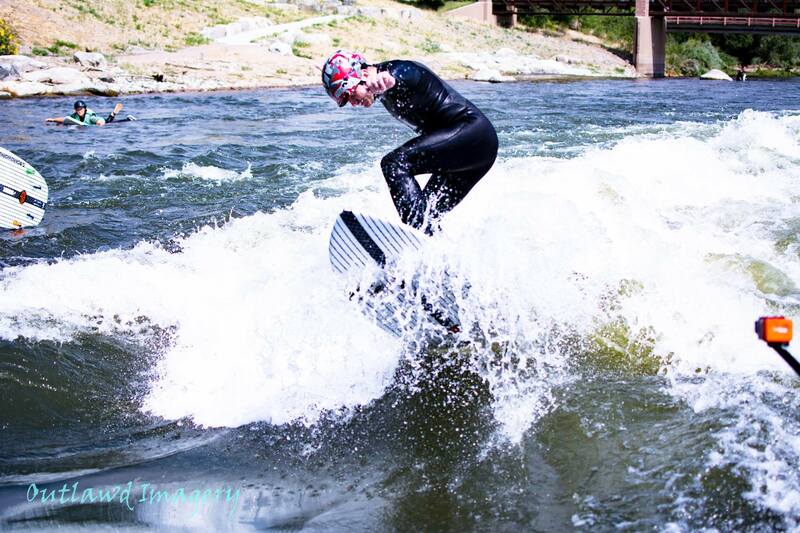 I have the 5’2″, and 21″ by 2.5″, it has plenty of volume for river surfing on fresh water. 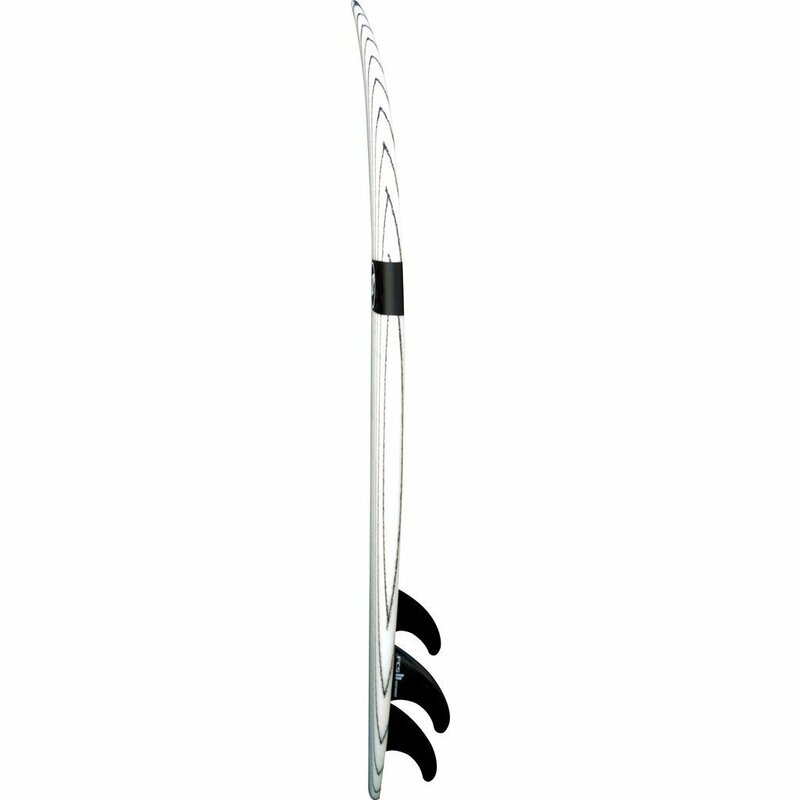 It sports a double concave design that runs through the fins. At first the amount of concavity surprised me – it’s more defined than I would have expected – but I enjoy how responsive it makes the board feel. It can feel a little twitchy on foam piles though. 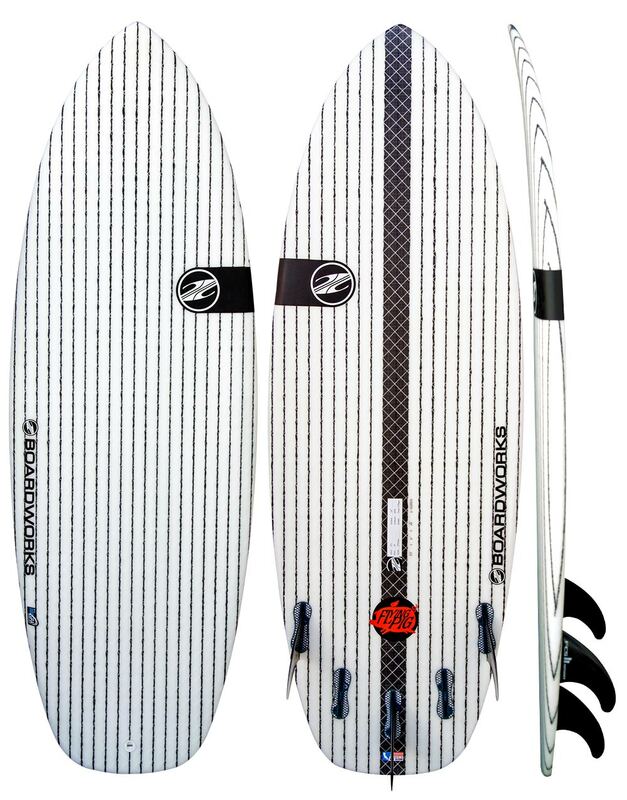 It also sports a five-fin FCS II setup, which provides lots of options. For river surfing, I’ve been happy with setting it up as a twin. The Flying Pig does seem to fly; it’s quick and responsive and the flex (or lack thereof) of the epoxy/innegra layup feels great. Durability has been fine, though a few impacts with concrete have roughed up the skin in a couple of spots. One buddy had to patch his Flying Pig on day 2 thanks to a kayaker who carelessly stabbed his paddle through it, but that’s probably not a big hazard for most river surfers. The board is crazy light, and I wouldn’t want to take it anywhere it’s likely to get smashed into rocks with speed. But for deep-water or artificial waves with few rocky hazards, it’s a great high-performance, off-the-shelf hard board. So far I’ve tried a couple of lengths out at River Run, and I’ve been happy with the 5’2″ – it doesn’t seem to need more length for my weight and this wave, though of course your mileage may vary. The Boardworks Flying Pig is available on Amazon, and a few other online retailers have been carrying it as well as of late, many at a discount.